2014 Builders Exchange Wall Calendars are In! 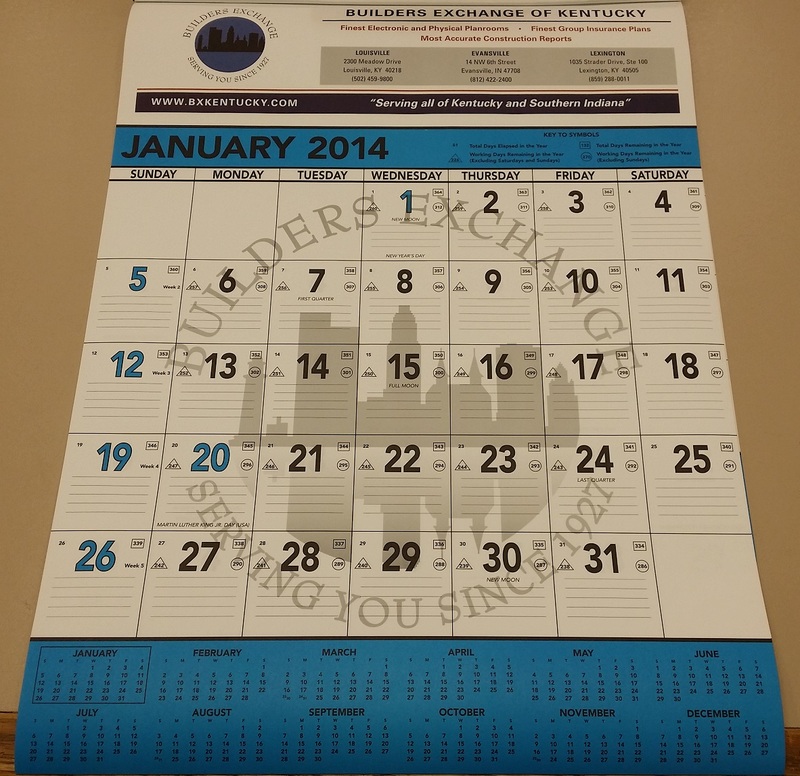 The 2014 Builders Exchange Wall Calendars are in just in time for New Years! Any member who would like this free calendar can pick one up at the Builders Exchange offices in Louisville and Lexington. Please contact Judi Donovan or Jill Gutermuth at 502-459-9800 if you would to have a calendar shipped* (*cost for shipping must be covered by member). Welcome to Your New Online Planroom – IPIN 10.0!